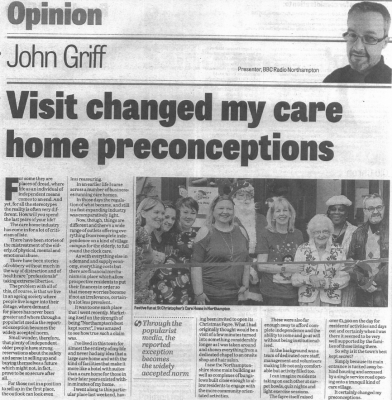 We received a lovely piece of feedback in the Northampton Chronicle and Echo this week. This was from John Griff in his opinion Column. Thank you John and we hope to see you again very soon. Get news from St. Christopher’s the way that suits you Welcome to our website! Contact your relatives via Skype A Change is as Good as a Respite!